Age 91, formerly of O’Hara Township, passed away peacefully in the presence of loved ones on Wednesday, February 6, 2019 at The Willows at Presbyterian Senior Care, Oakmont. She was preceded in death by her husband, T. Terry Hayashi, M.D. 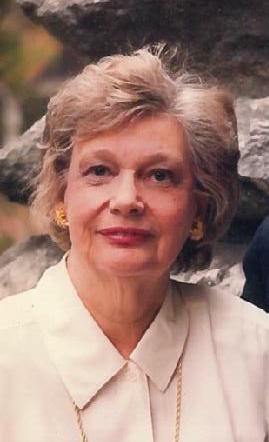 Born in Jersey City New Jersey, Ursula attended Concordia Collegiate Junior College and received her nursing degree from Cornell University New York Hospital School of Nursing in 1949. She lived and worked as a pediatric nurse in her beloved New York City and later in Philadelphia. In 1965, the family relocated to Pittsburgh when Dr. Hayashi joined the University of Pittsburgh Department of Obstetrics and Gynecology. Ursula, or Oma to her many grandchildren, loved to travel and entertain and was a fabulous cook who enjoyed nothing more than sharing meals with friends, neighbors, and family. She is survived by her children: William of Westminster, CO; Peter of Newton, MA; James, of Pittsburgh, PA; Ann of Greenfield, NH and Robert of Amherst, MA; and eleven grandchildren. Ursula was a longtime member and volunteer of the Fox Chapel Presbyterian Church, 384 Fox Chapel Rd, where services will be held at 2 p.m., Saturday, March 16, 2019. Memorial donations can be made to Magee Women's Foundation, 3339 Ward St., Pittsburgh, PA 15213. Attention: Colleen Gaughan.